The Test window is flung open wide and the countries are grabbing the opportunity to go into action. The match likely to attract most attention is the match at Twickenham when England play the All Blacks and Jérôme Graces is the referee. 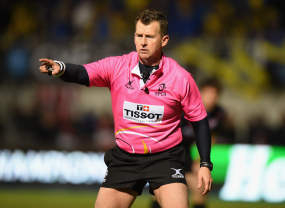 Then South Africa go to Paris, as young men should, to play resurgent France under the supervision of Nigel Owens. In all there are 22 matches with international teams in action. After 10 rounds Brive are top, a point above Mont-de-Marsan and Oyonnax. Petrarca are top, Padova bottom. Alcobendas is top, La Vila bottom and they meet this weekend.